Only once in a while do I write a “deals post”. I’d like to share with you how I got a great deal on laundry detergent. Saving a little here and a little there really adds up and I love it when I can stretch my hubby’s hard earned dollars. Making a couple of purchases from Amazon that were not time sensitive, I chose the no rush shipping on 2 different orders, and received a $5.99 credit for Amazon prime pantry . For Each of the Orders. This was a special offer. Not being familiar with prime pantry I just set the credit aside til for awhile. The next time you purchase from Amazon, check and see if they are offering any deals along with No Rush Shipping. Another time I received a bounty of swagbucks from some online shopping during the Christmas season. I used those swagbucks to purchase $50 in Amazon gift cards! Using swagbucks helps a little here and a little there throughout the year, and the savings add up. 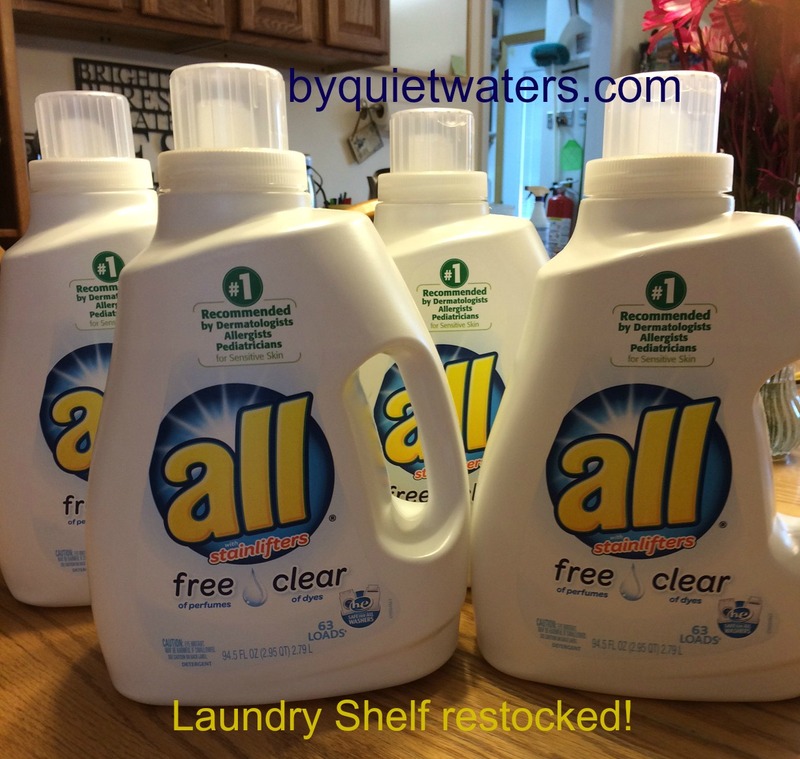 I restocked the shelf in my laundry room with detergents and won’t need to buy any for about 5 months! Are you using swagbucks? If so what is your favorite way to redeem them? If you are not using swagbucks, check out the website. Just so you know, if you sign up through any of the links in this post, I will receive some credit. 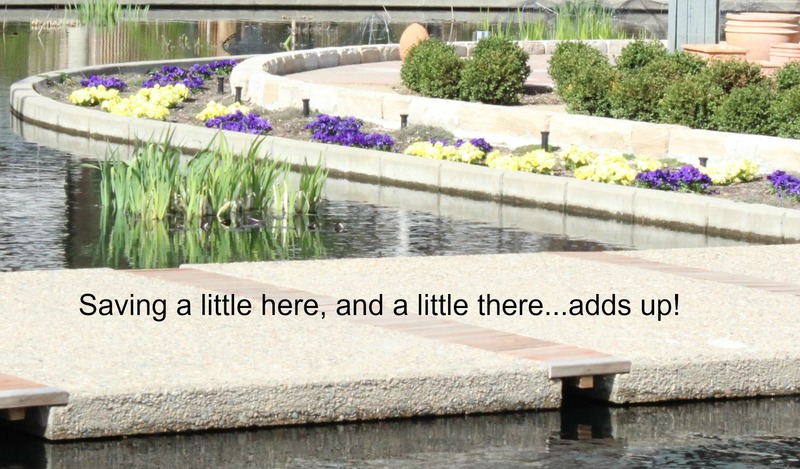 And you will be on your way to earning a little here and a little there! There may be affiliate links in this post as well. You can read my full affiliate disclosure here.